Sandra Blow was born in London in 1925, the daughter of a Kent fruit farmer whose orchards supplied retailers in Covent Garden. She left school at 15 and in 1940 entered St Martin’s School of Art. Shortly after the Second World War, Blow studied at the Royal Academy Schools, but in 1947 ventured further afield and lived in Italy for a year, where she met Alberto Burri, who was a significant influence on her work for the rest of her career.click to read more about artist Sandra Blow. Despite her youth, Sandra Blow was at the forefront of the abstract art movement in Britain during the 1950s. Following her first painting sale, to Roland Penrose (a founder of the Institute of Contemporary Arts), Blow’s career took off. Throughout the 1950s and early 1960s, she regularly exhibited with Gimpel Fils, the leading London gallery whose association with St Ives artists like Barbara Hepworth, Ben Nicholson and Peter Lanyon anticipated her move in 1957 to live for a year in a cottage at Zennor near St Ives. Blow was widely exhibited abroad throughout this time, establishing the international profile that her cosmopolitan outlook warranted. Participation in peripatetic displays of contemporary British art saw her work promulgated in Italy, Holland, Germany, the United States and later Australasia. In 1957, Sandra Blow featured in the first John Moores biannual exhibition in Liverpool and was included in the Young Artists Section at the Venice Biennale the following year. She won the International Guggenheim Award in 1960 and won second prize at the third John Moores exhibition at the Walker Art Gallery in 1961. In 1960, having returned to the capital, Sandra Blow acquired a large studio at Sydney Close in Kensington, where she worked for the next 24 years. In 1961 she started a 14-year stint teaching at the Royal College of Art. 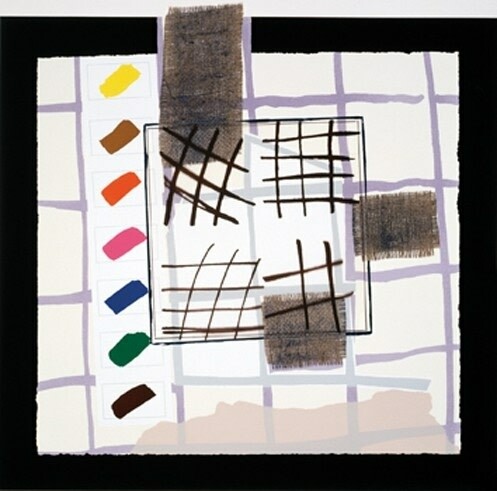 Although painters like Jennifer Durrant, Gillian Ayres and Joan Mitchell shared with Blow ambitious scale and expressive dynamism, she stands alone as the earliest and most original woman painter in Britain able to challenge the bar-room “macho” cult associated with free, informal abstract painting.